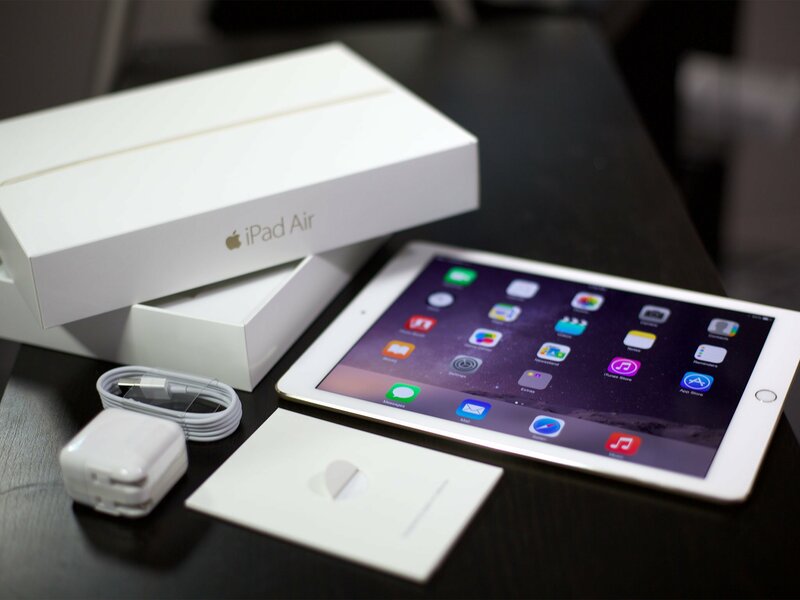 Looking to sell your old iPad so you can more easily afford that new iPad Air 3? iPads aren't usually available with subsidies or leasing programs, especially not the Wi-Fi versions. So one of the most popular strategies for those who want to reduce the cost of the upgrade — especially frequent upgrades — is to sell an old iPad to pay for a new. Here's how! The best time to sell your old iPad is typically just before Apple announces a new one. Once the announcement is actually made, more people want the new model and so start selling the old. That leads to a lot of supply, which reduces the potential price you'll get. Apple originally released new iPad models in the spring. The original iPad, iPad 2, and iPad 3, and more recently the iPad Air 3 and iPad mini 5, all went on sale during that time. Apple has also released new iPads at the end of the year. From the iPad mini and iPad 4 to iPad mini 4 and iPad Pro (first and latest generation), fall and sometimes almost winter had been the window. Though, Apple launched the 10.5-inch iPad Pro and updated 12.9-inch iPad Pro in late Spring 2017 and the improved 9.7-inch iPad in early Spring 2018. So there doesn't seem to be a consistent time of the year for iPad launches. Keep your ear out for rumors about Apple launching new products. That seems to be the best way to plan ahead. For most people, tablets aren't as necessary as phones. So if you can sell a bit early, even if you have to do without for a few weeks, you might get a better price. There are a few things you'll want to do before selling! Before you do anything else, make sure you have an up-to-date backup of your iPad. That way all your data is safe and secure and you'll be able to easily restore it to your new iPad when you get it. iCloud automatically makes a backup overnight, as long as you're plugged in, but a manual backup will make sure you're absolutely up to date. Make sure your iPad is connected to Wi-Fi. Plug your iPad into a power source. Plug your iPad into your Mac or Windows PC. Click on the iPad icon in the menu bar when it appears. Once your data is safely backed up, it's important to wipe it from the iPad you're selling so your personal photos, files, messages, etc. don't end up as a surprise bonus for the new owner. Launch the Settings app from the Home screen of your iPad. Tap on Erase to confirm. You'll need to enter your Apple ID password to turn off Activate Lock and remove the device from Find my iPad, and you may need to enter your iPad passcode again to double-confirm. That's because once the wipe is done, it's done. If you change your mind, you'll need to restore from an iCloud or iTunes backup. Cleaning your iPad isn't just about removing data, it's about removing dirt. Even if you've run it hard, you should still take a few minutes to wipe it down and make sure it's free from dust, grime, oil, lint, and even fingerprints. Pay extra attention to the grooves and ports. If it's particularly nasty, a dab of isopropyl alcohol and some elbow grease will do the trick. This is especially true if you're selling your iPad yourself and need to take pictures to show potential buyers. Of course, it's also the right thing to do — nobody wants to buy a dirty iPad. Make sure you include the Lightning or 30-pin Dock cable that came with your iPad, as well as the AC Adapter. If you have all that, and the original box, it will ensure you get the most money possible. If you're selling your iPad yourself, including any accessories you'll no longer need can also sweeten the deal. Old cases, cables, chargers, and more won't just attract buyers, it will help declutter your collection as well. What's the best way to sell my iPad? There are a few different ways to sell your iPad, but the two main categories are selling it to a reseller or selling it yourself. A reseller will be much easier but you'll get less money. Selling it yourself will take more work but has the potential to net you more cash. Figure out what's more valuable to you — time or money — and then you'll know what to do. Gazelle is simple and easy to use. Tell them what you have and they'll tell you what they'll give you for it. If you accept the offer, you have 30 days to send in your old phone. Gazelle will check your old phone when it arrives. If there's anything different, they'll let you know and give you an updated offer. If you decline, they'll ship it right back to you free of charge. If everything looks good, or if you accept an updated offer, they'll pay you by check, Amazon, or PayPal. Because of the 30-day window (and they've sometimes increased it to 50 days when new iPads are on the horizon), Gazelle is a good way to lock in a price before the market is glutted. Just make sure the condition doesn't change between when you get the offer and when you send it in, or the price will change as well. Swappa is a way to get more money for your old iPad than typical services provide, but in a way that's easier and more civilized than selling directly. You do have to have reasonable expectations and some patience. Take great pictures but show any defects or damage so potential buyers knows what they're getting. Price your iPad competitively. Find existing ads on Craigslist in your area for iPads that are the same model, capacity, and condition as yours and price accordingly. Watch out for email scams. If someone offers a lot more money to encourage you to ship them your iPad, they're just trying to rip you off. The same rules apply. If you don't just want to give your iPad away, you can choose if you want to give a friends and family discount. Either way, making sure the device is in the best condition possible, and everyone is being treated fairly, is the best way to make sure everyone wins and no one leaves with hard feelings. Besides, you're going to have to see these people again, so the last thing you want is simmering resentment over feelings of a raw deal at Thanksgiving! Can't I just trade in my iPad to Apple like I can my iPhone? Sort of. It's not actually a trade-in program, however, you can submit your older iPad (or Mac, for that matter) to Apple's GiveBack recycling program. Qualifying devices will get you a gift card toward your next Apple Store purchase (like that new iPad Pro). You can take your old iPad with you into your local Apple Store and submit it for inspection to receive in-store credit. Or you can send it into the Apple GiveBack program online. If you choose to go the online route, Brightstar (the company that Apple works with to take recycled devices) will assess your iPad and offer you an amount based on the model and condition. It's not much money, it's definitely not as much as you could get by selling it through one of the other mentioned services, but if you really don't want to do the work and aren't worried about getting a lot of return on your old iPad, it's the easiest way to offload it. We're not going anywhere! If you have additional questions about selling your old iPad, leave them in the comments below. Also, check out our iPad forums where you can get lots of great advice from people who've been buying and selling iPads for years. Updated March 2019: Updated for the iPad Air 3 and iPad mini 5.